Holy water (Theertham) : Bhrama Theertham. Sacred Tree (Sthala Vriksham) : Vaagai Maram. Timings : 06:00 a.m. to 12:00 noon and from 04:00 p.m. to 07:00 p.m. This is the 29th sthalam on the northern side of river Cauvery. 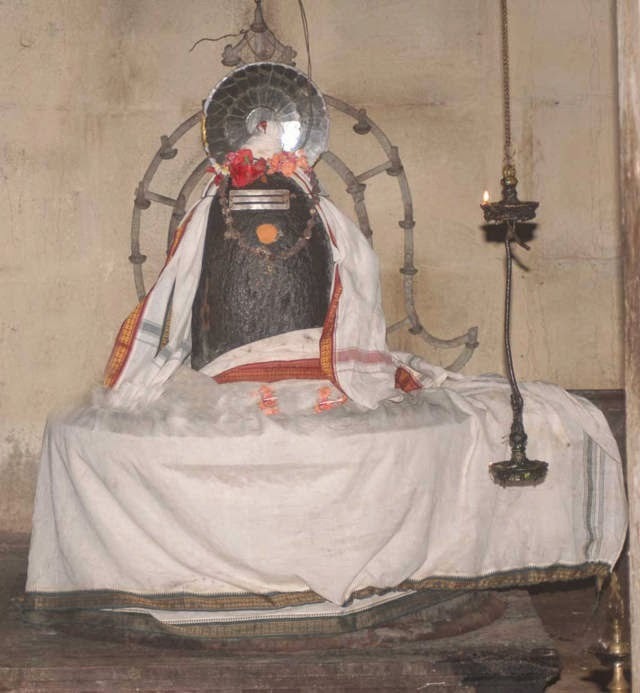 Thiruganasambandar and Appar has sung hymns in praise of Lord Shiva of this temple. Lord Muruga, Mother Gajalakshmi and Saraswathi shrines are in the prakara. 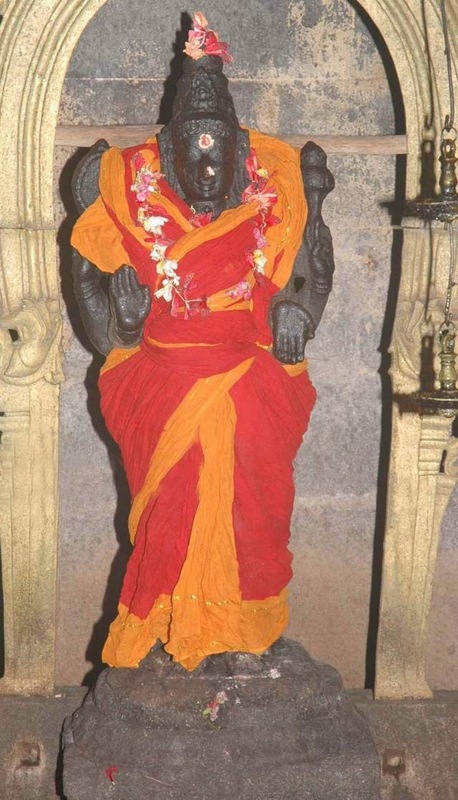 Lord Dakshinamurthi wih Nandhi is on the Goshta. His shrine is borned by Lions. Saint Meikanda Nayanar has a shrine in the temple. There is also a shrine for Lord Vinayaka with 8 serprents – Ashta Naga Vinayaka. This shrine appears as if in an anthill. Maha Shivrathri in February-March; Margazhi Tiruvadhirai in December-January; Panguni Uthiram in March April and Mahalakshmi Puja on all Poornima-full moon days are the festivals celebrated in the temple. During the reign of king Ruduketan, the region faced a severe famine. He surrendered at the feet of Lord Shiva. Lord poured rain of diamonds and asked him to use it for he welfare of his subjects. Hence, Lord came to praised as Manicka Vannar. Mother Vandar Kuzhali blesses the devotees from a separate shrine. Mother Durga who destroyed demon Mahishasura appears with eight hands with a parrot in Her lower left hand and all graceful though holding weapons in hands. Muyalaga the symbol of ignorance and a serpent are under the feet of Lord Nataraja. Lords Vishnu and Brahmma appear worshiping Lingodhbava in the goshta. 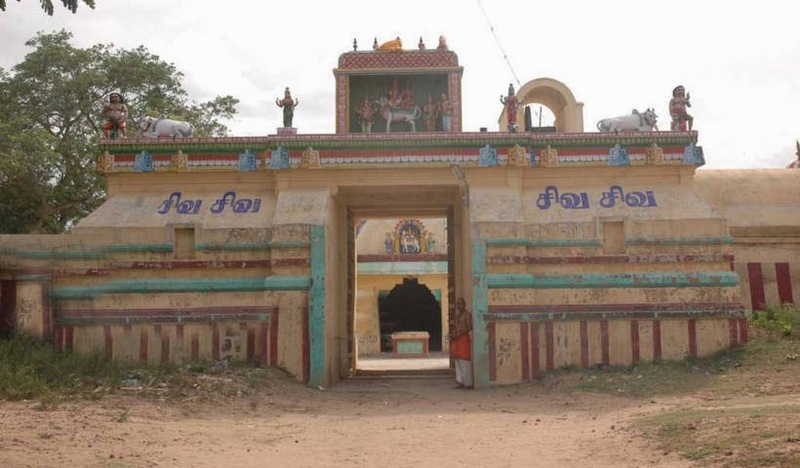 Sani Bagwan has his shrine at the entrance of the temple facing east. During his pilgrimage, Arjuna stayed here for a while seeking water to quench his thirst. An old man came to him and gave a stick advising him to strike on the ground for water. Arjuna gave his sword to the old man and got water. When he turned, the old man was not there. He followed the foot steps of old man and found a glittering and bright anthill with his sword with a Shivalinga. Lord appeared before him and disclosed that the old man was but Himself. As Lord hid Arjuna’s sword here, the place came to be known as Val (sword) Oli (light) Puthur – Valoli Puthur and changed as Valaputhur in the days that followed. 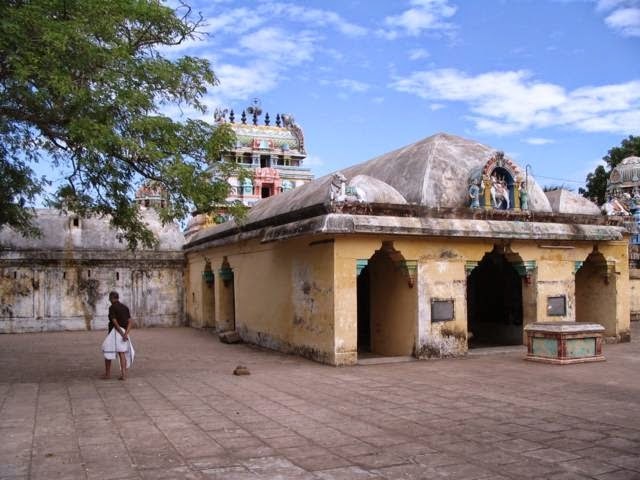 Location: This temple is located 16 Kms from Mayiladuthurai and 9 Kms from Vaitheeswaran Kovil. Proceed from Vaitheeswarankoil towards Tiruppanandal and reach a place called Elanthoppu. From Elanthoppu, take the branch road to Tiruvalaputtur. Phone: 04364 - 254 879, 98425 38954.